A student caught driving illegally and a campus police car being struck were reported to campus police in recent weeks. 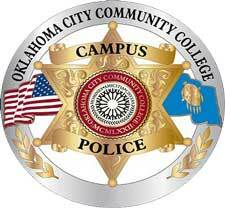 At around 8:10 p.m., Nov. 11, Officer Patrick Martino stopped an OCCC student, 20, for a burned-out headlight as he was leaving the campus. It was then discovered the man, whose name was redacted from the report, only had a learner’s permit and no insurance verification. Officer Zachary Andrews completed an inventory of the vehicle and had it impounded. Officer Jerry VanWinkle was escorting student Nicole Poindexter, 32, to her car at 12:35 p.m. Nov. 9, when the campus police car he was driving was struck by a car driven by student Jamie Biggerstaff, 18. The report shows Biggerstaff was backing her car out of a parking spot when the accident happened. When VanWinkle saw the other car backing out, he stopped and honked his horn. Biggerstaff hit the passenger side of the patrol car. VanWinkle said minimal damage was done to both cars. Officer Jeremy Bohannon responded to an animal cruelty call at 3:51 p.m. on Nov. 11, regarding two dogs that had reportedly been left in a car for around seven hours. The woman had a cup of water but no food in the car for the animals. The driver left the scene after Bohannon checked on the dogs’ well-being.